e-xpress Interactive Software Pvt Ltd, a leading distributor of games software in India, today announces the pre-order bonus for WWE 2K16 Fans. 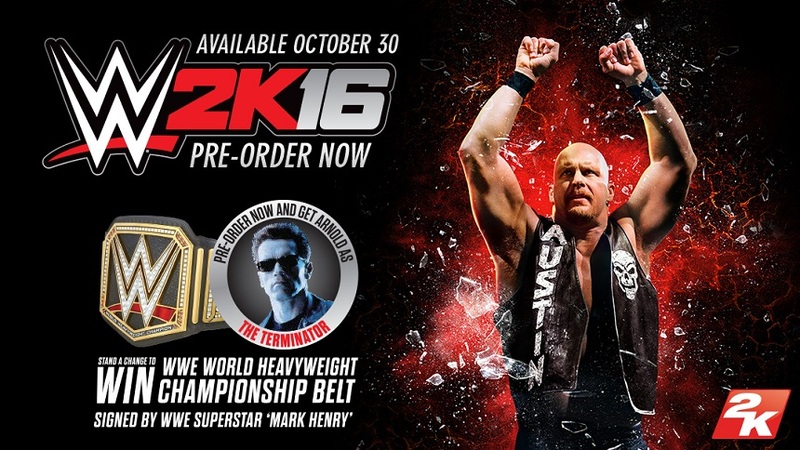 The bonus content includes the DLC for Terminator (T-800 from Terminator and Terminator 2) along with a chance to win the WWE World Heavy Weight championship belt by just pre-ordering the WWE 2K16 game copy. The championship belt is the most astonishing and the highest award in WWE. To make this opportunity the best for you, the pre-order bonus campaign will remain open until 20th December 2015. Stay tuned to the updates as the winners will be announced closer to the same. WWE 2K16 is launching on 30th October 2015 on PlayStation 4 and Xbox One for ? 3,499 While PlayStation 3 and Xbox 360 is priced at 2,499.